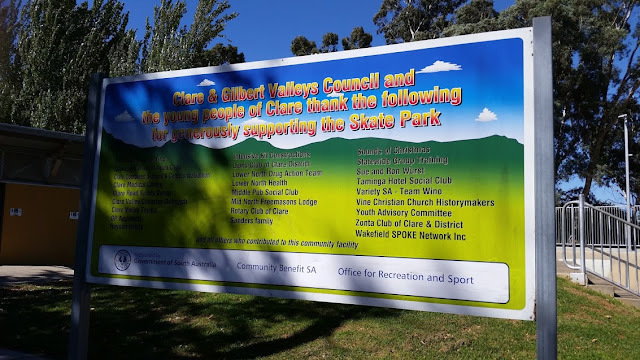 There seems to be very little information about Clare Skatepark, Clare Valley, South Australia online, almost to the point that you wonder if it even exists. However it does and you can see its street view here on Google Maps. I was recently in Clare for a day, and made sure I brought my skateboard this time, so I could actually skate this park that I'd only seen on a quick drive through a few years before. The park, at one end, is bowled out with 5 and 6 foot high (approx) transitions, with an awkwardly placed hip about a third of the way around. Those bowled transitions look deceptively low in this photo but they're actually about six feet high. The centre of the park has a funbox with fairly steep-ish banks, hips, and handrails. On one side there is a 3-4 foot quarter pipe that is really the best feature of the park if you're looking for a spot to learn a trick before taking it to the more advanced bowled section. Those hips in front of the funbox have potential for beginners. The other end of the park is a fairly mellow bank leading to a platform. To finish it off there is a flat bar rail and metal edged concrete box style bench, if banks and transitions aren't your thing. This bank gives you enough speed over the funbox without being too steep. There is a shelter and seat right next to the funbox, and toilets are right nearby too. 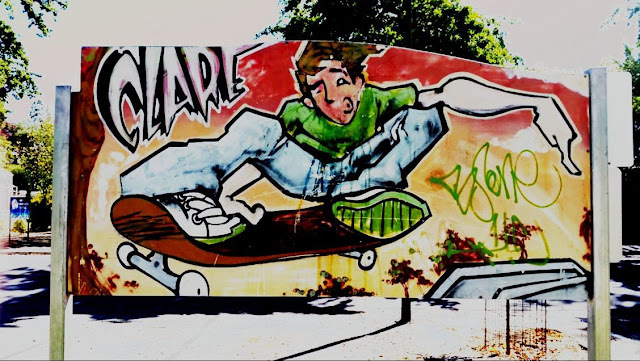 For families, the skatepark is located on a well kept reserve that features a walking trail, green lawns, plenty of trees, and a full, fenced playground for younger kids. 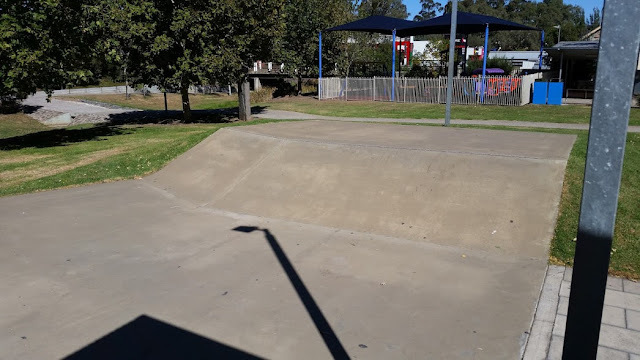 Personally, Clare Skatepark was a little too advanced for my skating abilities to really do anything noteworthy. I was able to carve around the full park fairly easily as all the banks give you plenty of speed. I was also able to drop in on the bowled end of the park and pump back and forth until I got tired - but that's pretty much the extent of my ability on a transition that high. 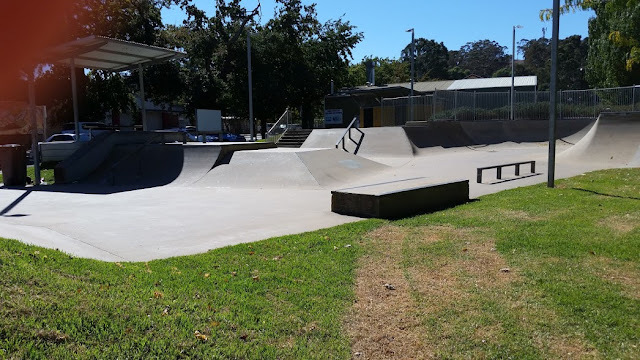 I had the park almost to myself for nearly and hour on a Sunday morning before the local scooter kids started to trickle in. I watched them learning a few new moves on the small quarter pipe on the side of the fun box, and then immediately taking those tricks to the five foot section of the bowl. Leading me to conclude that this is probably a great park for scooter riders. If I'd had more time I would've tried making more use of the hips on the funbox - as I did start to try an ollie or two over the bottom section of them. However I don't really mix well with scooter riders (sorry, I don't hate scooter riders, I just get irritated by how much easier it is to learn the basics of scooter riding - but that's a debate for another time) so I bailed and left them to it. My final verdict is that Clare Skatepark is likely to be more enjoyable for intermediate to advanced skaters. 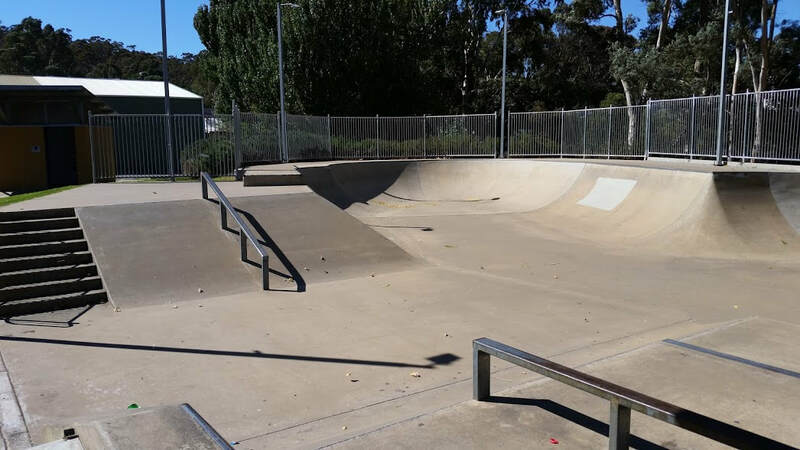 It doesn't offer a great deal for newer skaters but if it was your local you could probably build up enough familiarity with it to find some less difficult lines and still have a lot of fun.